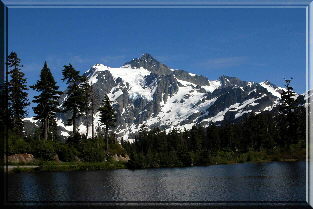 Often confused with it neighbor, Mt Baker, Shuksan has a much steeper summit. The idea was to arrive before the winds disturbed the lake allowing us a mirrored reflection of this impressive mountain. Just a side note, Mt. Baker Ski Area is to our right, just out of frame.